Our home renovation franchise expects excellence in customer service. Are you up for the challenge? Customers are so enamored of our quality and our service that DreamMaker has earned an overall 97% approval rating, with some individual franchisees earning even higher marks. High revenue potential, accessible startup costs and strong profit margins are all marks of excellence within the DreamMaker franchise system, yet none of that would matter — or even be possible — if our home renovation franchises weren’t able to accomplish the deceptively simple task of making our clients happy. DreamMaker’s systems are designed to help franchisees and their teams deliver exceptional customer service, which leads to the word-of-mouth that powers growth. We thrive on referrals; indeed, our franchises’ average gross sales have increased 80% since 2011. Our average gross profit margin in 2017 was 41%, well above the industry standard. One of the key ways we measure customer satisfaction is by partnering with GuildQuality. GuildQuality conducts customer satisfaction surveys for building professionals, giving customers a chance to leave unbiased reviews on various home remodeling services. Think of it as a sort of Yelp for contractors. However, GuildQuality goes much further than the Yelp platform, garnering a 70% response rate from customers it surveys and then providing the customer feedback to the companies being rated. That gives companies like ours a chance to improve in areas that may need shoring up. 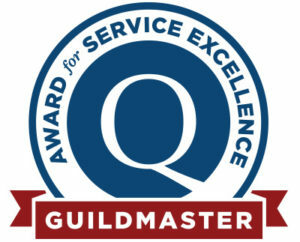 GuildQuality also rewards consistently high performers with Guildmaster awards. 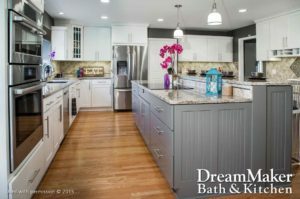 According to GuildQuality, DreamMaker Bath & Kitchen has a 97% recommendation rating from customers. DreamMaker franchises have earned 18 Guildmaster awards over the past four years. The consistent excellence is one reason our franchise system was ranked No. 6 in this year’s Remodeling 550 list of admired remodeling businesses. Our ranking also noted our GuildQuality Service Excellence Distinction, which recognizes brands in the Remodeling 550 who achieved a recommendation rate of at least 90%. Not only does DreamMaker garner one of the highest industry ratings at 97% satisfaction, many of our franchise owners have individually earned Guildmaster status. For instance, Denise and Glen Borkowski, who own the DreamMaker remodeling franchise in Orland Park, IL, have earned the distinction of “Guildmaster Award with Highest Distinction for Exceptional Customer Satisfaction.” DreamMaker of Orland Park has achieved a 98% satisfaction rate for four consecutive years. Are you right for DreamMaker? Whether you have an existing remodeling business or you’re simply looking for a smart financial investment, our home renovation franchise opportunity is worth exploring. Learn more by downloading our franchise information report or coming through our research pages.